Well guys I finally figured out how to downgrade from iOS 5.0.1 to 5.0. on my 3Gs. I don’t know if this method works on other models but its worth a try. If you’ve recently updated and jailbroken your iPhone on iOS 5.0 then you’ve probably noticed that after it being completely drained (2% battery) and shutting down, and you plug it in to power….. the phone opens up to a green screen… Don’t worry (like I did:) ) this is not a big problem. It can easily be fixed. Well you probably got excited at the news that Siri had been ported to the older iPhones and decided to install it on your iPhone… Like me:P You then found out it hadn’t worked and decided to uninstall it… Only to find your iPhone stuck in a boot loop (unending apple logo). Well I finally found a way (after many bruises to my head) to fix it. Disclaimer: I am not responsible for any damage done to your phone by following this tutorial. Execute the steps at your own risk! First of all you will need to put your iPhone in DFU mode. That is done by holding the power and home button for about 10 seconds then releasing the power button, keeping the home button pressed for about 15 seconds. You should now be on a black screen. Well thats it:) If you have any questions or problems feel free to post them in the comment section. If you’re a lucky owner of an iPhone 3Gs (old-bootrom) you can now have access to an untethered jailbreak for iOS 5! Trust me the upgrade is worth it. Now plug-in your iPhone, open up Redsn0w. Click on the “Extras” tab then click on “Preserve Baseband with custom IPSW”. Follow the instructions then go back to menu and click on “Jailbreak”. Point Redsn0w to the NO-BB… IPSW and follow the on-screen instructions. After reboot you should now have an iPhone 3Gs jailbroken on iOS 5! The founder of Apple Inc. died the 6th of October 2011 because of a raging pancreatic cancer. He will always be remembered. May he rest in peace. Okay now open up the downloaded and installed VirtualBox. Click “New” then “Next”. 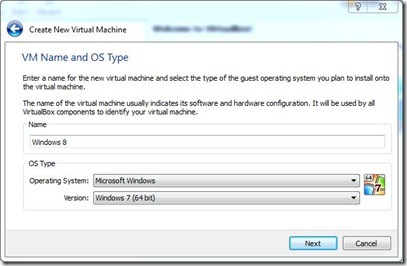 Now type a name for your Virtual Machine under Name. As we are going to Install Windows 8, I’ve named mine Windows 8. Now select Microsoft Windows for Operating System and Windows 7 as Version. 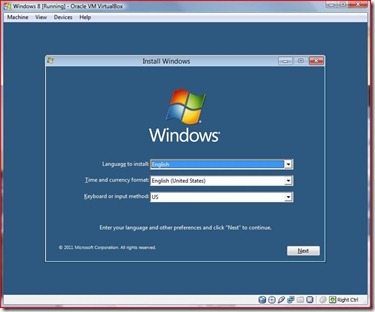 If you are installing Windows 8 64-bit, select Windows 7 64-bit Version. The next step is to choose the system resources of your Virtual Machine. For RAM, choose little bit less than half of your RAM. 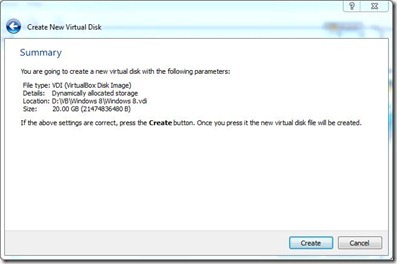 After you’ve created the virtual disk, click create to setup the virtual machine. 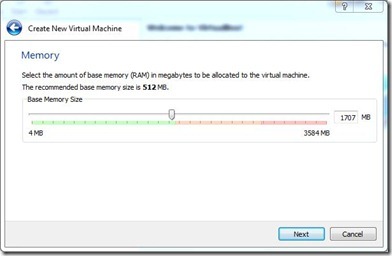 Now its time to tweak your virtual machine for optimum performance. In the VirtualBox manager, right click on the virtual machine that you just created and select Settings and make the following changes. Select System from the left column. Now check Enable IO APIC. Select the Processor tab and check Enable PAE/NX. Finally in the Acceleration tab, check Enable VT-x/AMD-V and Enable Nested Paging. 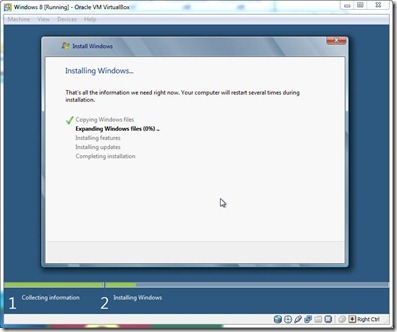 Now start your virtual machine by right clicking and selecting start. As you are running it for the first time, a first time wizard will be shown. Click Next. In the next step, select the Installation Media. Select the ISO file of Windows 8 that you had downloaded earlier. Click Next. Now your virtual machine will boot with the ISO file as the installation media and once the necessary files are loaded, you will see the below screen. Click Next. After you accept the EULA, select the partition to install Windows 8 (The 20GB partition that we created earlier) and click Next. Now click Install and the installation will begin. Once it finishes, create a user account and configure the network, Windows Update settings etc. Windows will take a few minutes to apply the configuration and that’s it! The well-known veteran hacker Muscle Nerd has just released a new version of the jailbreaking tool Redsn0w. The most notable feature of RedSn0w 0.9.9 beta 1 is the firmware auto-discovery during DFU Mode which makes it possible to jailbreak iPhone, iPad and iPod Touch even without pointing RedSn0w to .IPSW file. So what are the other features of RedSn0w 0.9.9b1? – Fetches pieces of public IPSWs from Apple (once). – Non-public IPSWs must be provided manually (once). – It then caches those pieces for future use. – “Just boot” is a tethered boot. – “Pwned DFU” puts your device in a pwned DFU state. – “SHSH blobs” has a bunch of options. – “Fetch” – fetch current PARTIAL blobs on device. – Should complete in under 10 or 15 seconds. – Puts the set of PARTIAL of blobs on your computer as a plist. – Checks if Cydia already has a full set for this device and build. – “Verify” – cryptographically verifies existing blob files from either redsn0w, TinyUmbrella, or Cydia server. – You can select a whole bunch of blobs to verify at once if you want. – “Submit” both verifies and submits one or more blob files to Cydia. I haven’t used this newest release yet but am really looking forward to it. What features are you most excited about?